Thank you for your interest in becoming a volunteer! 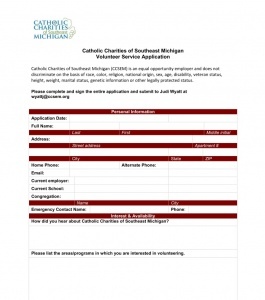 Below you’ll find a link to the application form, and in the sidebar, other forms you must fill out to be considered. Please send in all forms to the appropriate location or drop them off where you would like to volunteer.